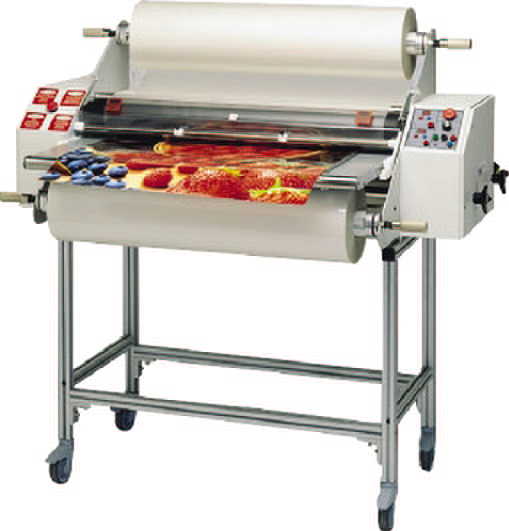 User-friendly, big format laminating and mounting. 42 and 60 inch, designed exclusively for the wide format printers. Laminate, mount and encapsulate in one pass up to 1/2 inch thick. No set up change required providing simple operations. The Digital series "Do It All"
The Digital series were the first designed exclusively for owners of 38 and 50-inch inkjet printers. They do all the finishing tasks required of a large format imaging shop - laminating one side or two, encapsulating, mounting with heat activated (dry mount) or cold pressure-sensitive adhesives (PSA), simultaneous mounting and laminating, and application of cold adhesives. 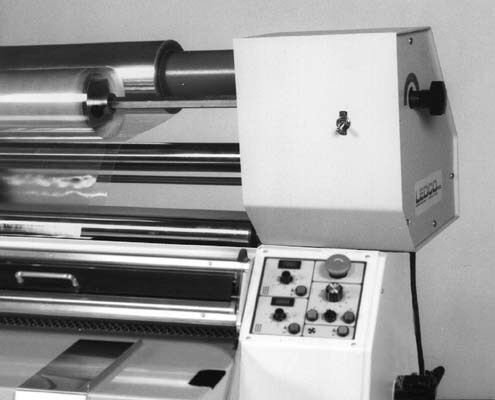 These machines were made to be very easy to use, incorporating many of the glitch-proof features developed over 40 years of making laminators for schools and commercial finishing shops. These units will laminate one item, then mount and laminate the next in one pass on mounting board up to 1/2-inch thick. No setup change is needed. In fact, you can laminate one item, then mount and laminate the next in one pass without even stopping the machine. With a top speed of 30 FPM and a sustainable laminating speed of 10 FPM with 5-mil film, the Ledco Digitals are much faster than the other machines made for big format color applications. An optional release liner take-up allows the Digital series to apply cold laminating films, vinyl's and other PSA materials needing removal of a liner. Easy to use, simple operation with opening and closing rollers for flatter lamination and years of continuous service. Standard features include variable speed, independent top and bottom heat control, spacious feed tray, powerful film cooling system. The Digital 42 and 60 have swing-away heating units for cold applications and easy cleaning of the rollers. Ease of use and great for processing heat-activated mounting boards. They are shipped fully assembled with a helpful operator's manual and a 90-minute instructional videotape. Ledco provides a toll-free help line to backup the training and support required of its dealers. Customers are encouraged to call so that small problems do not become big ones. Quality silicone rubber laminating rollers release materials easily and maintain their flexibility for a good edge seal. Roll feed assembly: The lamination of long images or rolls of images is simplified by a roll feed process. It is difficult to keep long graphics going straight if they are fed from a table. Rolling the material up on an empty core and feeding from a tensioned supply roll with an idler bar insures the material will stay flat and straight from beginning to end. Extruded aluminum stand: An extruded aluminum stand is an option on the DI-42, and is standard on the DI-60. Casters are available for either stand, but it is suggested they be removed for stability and safety once the machine is in a permanent location. Release liner take-up: This provides for the application of cold (pressure-sensitive adhesive or PSA) laminating films. It is not needed for the application of single-liner cold adhesives. Max. Film Roll Diameter 10"
Weight / Shipping Weight 880 / 1,300 lbs.